Robin Lester is Managing Partner of Florida Growth Partners, a consulting firm that helps emerging growth companies gain access to sources of capital across the Southeast. This positions them to gain access to capital for continued growth and job creation. Prior to founding the Florida Growth Partners, Robin was Executive Director of the Florida Venture Forum where she helped raise more than $1.2 billion in venture capital to fund the Florida-based companies. During her tenure, she helped grow the organization by more than 88 percent, making it one of the Top Ten Venture Capital Conferences held annually in the United States. She is also a serial entrepreneur, having started, run and sold more than three firms in North Carolina and Florida. She also has vast experience with publicly-traded companies, having served as the investor Relations Officer of Sykes (NASDAQ: SYKE) and BREED Technologies (NYSE: BDT), both in Florida. She began her career as a Legislative Committee Clerk for her home state's General Assembly in Richmond, VA. Immediately following, she was an officer of The Bissell Companies, a Charlotte, NC-based commercial real estate, development and brokerage firm. 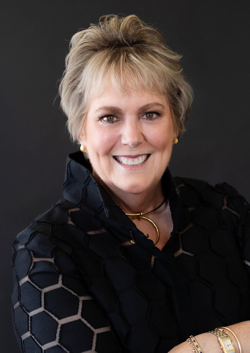 She later formed her own communications firm, Robin A. Smith Communications, Inc. which provided a full array of public relations, marketing, special event planning and political consulting services. Robin is active in community organizations, serving on the Boards of Junior Achievement, Outback Bowl, Appalachian State University Foundation and Past President of the National Alumni Association.